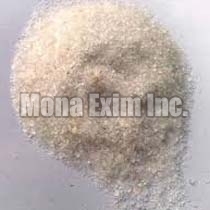 We are a prominent Manufacturer, Exporter and Supplier of Quartz Grain in Maharashtra, India. The Quartz Grain that we make available is accurate in composition, perfect in processing, 100% pure and incomparable on quality terms. It is purchasable from us at the cost-effective prices. We have always been the preferred choice of all the buyers as we deliver even the bulk orders on time. Thanks to our logistic network!